Hospice Malta will be organising a nationwide fundraiser to sustain the vast array of services provided to their patients and their families on Friday April 26 during TV programme, Xarabank. “Our plans include the setting up and running of a complex dedicated entirely to providing free comprehensive palliative care to our patients. This complex will be Malta’s first facility that will significantly enhance the present palliative care services to patients in their own homes and communities,” Maria Gatt, chairperson at Hospice Malta, explained. 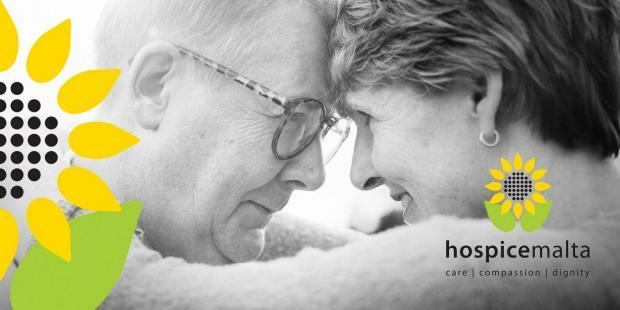 Founded in 1989, Hospice Malta’s primary role is to provide and promote palliative care services to patients suffering from cancer, motor-neuron disease, end-of-life cardiac, respiratory, renal and liver diseases. Hospice Malta offers its services through a professional multidisciplinary team – including nurses, doctors, physiotherapists, psychologist, social workers, complementary therapist and the Hospice chaplain; Day Therapy Services offering various activities for patients during the day and also including physiotherapy services, complementary therapy, spiritual and emotional support sessions, crafts and hairdressing as well as hydrotherapy services; professional care assistance at the patients’ home to support the patient whilst also serving as a form of respite to family members, as well as an after-hours on-call service. Specialised equipment such as fully motorised beds, lifters, wheelchairs, mobility equipment, respiratory equipment and syringe drivers, amongst others, are also provided according to the patients’ needs.